Thanks to Seahawks member, Melanie Makowecki for this photo. In 1990, the Edmonton Seahawks Parents Association, an unregistered group of parents, was entrusted with a Bantam program (Safeway Seals) to provide minor football in north Edmonton to boys and girls aged 13 to 15. At the time, it was based at Castle Downs Park and Marv’s wife Barb, joined the handful of parents to offer assistance. Marv joined less than one year later in 1991. During that year Marv served as a Trainer and Equipment Manager for the Bantam team which consisted of 17 players, 13 uniforms (donated by the Edmonton Chargers), and one football…working out of the trunk of his car and garage. Shortly thereafter, a name change took place – Edmonton Seahawks. Practices for those 17 players would start and stop at the Mills family home with laps run around their block and throughout the Baturyn community. The first year-end banquet was held in the basement of the Mills home with pizza and pool. On July 2, 1993, the North Edmonton Minor Football Association officially registered as a not-for-profit Society! Marv became the Head Coach of the Bantams and personally arranged for a $500 sponsorship from his employer to keep the team going. That year, the Bantams finished in the top half of the league (after failing to win even a game in its first year) and were runners-up in the CDMFA Tier II Championship. Marv was awarded the CDMFA “Bantam Coach of the Year”. In 1994 our program expanded to include a Peewee team for children aged 10 and 11. Marv organized and started the Peewee program by borrowing equipment, helmets, and jerseys from other Edmonton teams. He acted as General Manager and Head Coach of the Peewees while still remaining Head Coach of the Bantams. League Peewee Coach of the Year (Marv Mills). All of this in his first 5 years with our club. In 1997 NEMFA expanded to include an Atom team for children aged 8 to 10. In 1999 the Atoms were awarded the CDMFA Top Offensive Team and over the next 5 years, they would make it to the league and Provincial finals a number of times. Also in ‘97 – Marv coached the Bantams to a Consolation Cup and in 1998 to a Tier II Championship and Top Defensive Team honors. 2000 saw Marv step down from coaching full-time and focus his time as President of our Club. In 2004, Marv returned to the field as Offensive Coordinator of the Peewees. 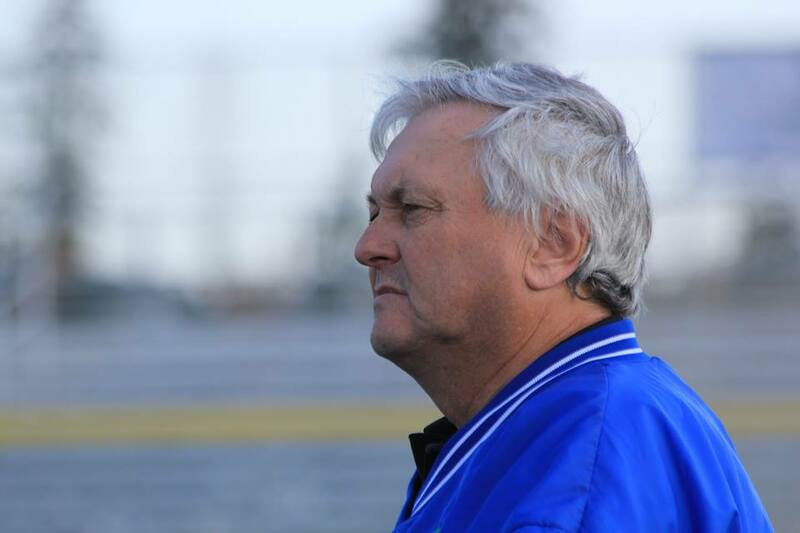 2005 was another busy year for Marv – he was involved in the initial planning of the CDMFA Midget division and in the formation of the Seahawks’ Midget program. Marv stepped down as President and continued on as General Manager devoting countless hours overseeing all on-field operations including facilities, coaching & training staff, and volunteers. In 2005 Marv was presented the Gary Hobson Memorial Award by Football Alberta. Presented in memory of Gary Hobson, a former manager of the Calgary Stampeders. The recipient of this award is an active member of the football community (team executive, assistant coach, manager, equipment manager, athletic therapist or anyone connected with a football organization) who makes a significant contribution to the promotion, growth, and development of amateur football over an extended period of time. nominees must have made a significant contribution to amateur football at any level for 4 or more years. 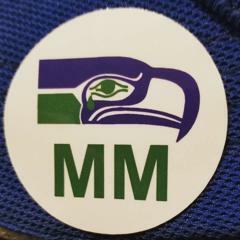 In 2006 the Edmonton Seahawks and in particular, Marv was asked to help revive Queen Elizabeth High School’s football program which had been non-existent for 6 years. Marv took on that enormous task – lending the High School football team our equipment and our coaches until they got their program fully functioning on their own in 2010. Our club was awarded the Edmonton Public Schools District Recognition Award for our involvement. Also during that year, our club grew to include a second Peewee team (Edmonton Skyhawks). Marv held every position possible in our organization and was also actively involved with our league, the Capital District Minor Football Association, serving several years on their Board (including Acting President for a year) and its Disciplinary Committee. Marv saw NEMFA operate out of a number of locations since 1990: the trunk of his car, his garage and basement; Cecil Hotel basement, M.E. Lazerte High School storage loft, Griesbach Lands (office and then shack), Queen Elizabeth High School office, storage shed and c-can; office in Castle Downs strip mall, Delwood Community League ice rink change room, and finally our very own clubhouse at 11524-153 Avenue (Castle Downs Park Pavillon). In 2008 Marv was diagnosed with a degenerative eye disease which took his eyesight over the next 4 years. This setback would have sidelined most everyone, but not Marv. He continued to serve as our President and his love for our players had him finding a way to return to coaching in 2012 despite his blindness. In 2012, Marv, nominated by a former Seahawk player, was chosen as 1260 Radio’s Elite Coach of the Week. In 2014, Marv was Head Coach of our Atom team and lead them to a Tier IV Championship win. On April 4, 2016, our club received recognition in the Legislative Assembly of Alberta by MLA, Nicole Goehring, for service to our community. Board members: Marv Mills, Mirella Horner, Paul Horner, Shelley Yuskow and Ken Anderson attended. The Certificate that was awarded to NEMFA is framed and hanging in our Clubhouse reception with pride. On July 29, 2017, Marv passed away suddenly at the age of 63 years; gone but never to be forgotten.